Diabetes T One (formerly Diabetes T1 Ireland) was set up specifically to raise awareness of Type 1 Diabetes. It is a social and support network on Facebook for people with type 1 diabetes. 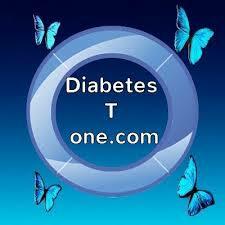 The also have a website to store all type 1 diabetes related information in one location. The network is run by volunteers Davina Lyon from Co. Kildare and John O'Reilly from Co. Laois, both living with type 1 diabetes and they offer information, support and research to people living with type 1 diabetes. As soon as Thrive-abetes was a twinkle in somebody's eye, Diabetes T One were quick to get behind it. They sponsored the first prize in our fundraiser raffle and have continued to offer assistance wherever possible.